Can you show us a picture of the bits you have used with Jac? Here is a photos of one of my smooth snaffle bits…the one on Jac’s headstall is packed due to the move, lol. The photo is also a link. Nothing fancy. Not too thick or thin. In the next episode of Jac (Episode 25) I switch to a twisted snaffle. I explain why in the video. Good news…when we were video taping Jac for Episode 25 I remember to show you the bit! Watch for it on Wednesday, February 26th. 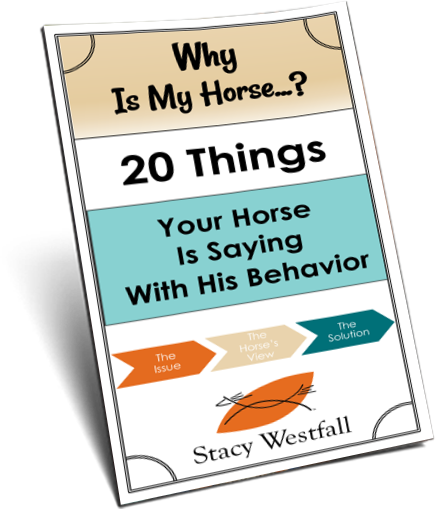 ← When in your training do you start to care about how the horse is holding his head and neck? Stacy, will you go back to the smooth snaffle? 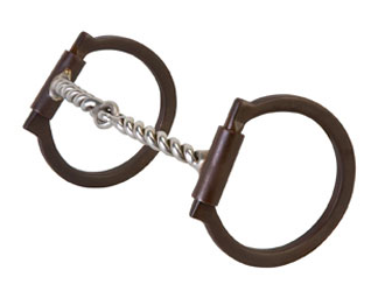 I’ve just joined the Quarter Horse association here in Australia and they have banned the twisted wire snaffles (should not to be used by inexperience people). I have no problem with Stacy and other experienced people using them. Nikki-You have an interesting point there. I do agree that inexperienced hands are an issue with bits. Did you know that many bits that are used by well known clinicians are illegal for various reasons? 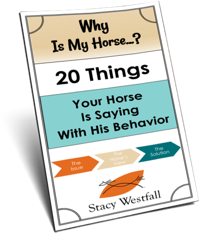 Parelli’s are widely accepted as excellent natural horsemanship clinicians but by AQHA rules their ‘confidence snaffle’ as well as the ‘Cradle Bits’ are illegal in the AQHA. 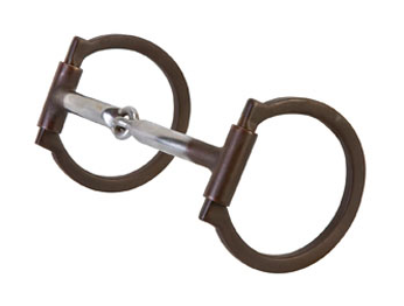 I also use the smooth snaffle for training but would just like to say for someone who does not know a lot about bits and training do not purchase a single twist wire snaffle just because stacy has used one on jac ……It goes without saying that these bits should only be used by very experienced riders, with educated hands. Although personally, I can’t imagine a horse that would actually need one of these bits.The single twist wire snaffle is a very severe bit for two reasons. Firstly, the thinner a mouthpiece is, the more severe it is. So, by definition this wire snaffle is very severe.